Goals can make you happy. Here is how. That was the beginning of an interesting conversation I had recently. And I totally agree that it is crucial that we learn how to be happy HERE and NOW. Be happy with who we are, what we have and what we are doing. Our current condition and thinking is the base we step on, to achieve everything else in life. And if for some reason we are unhappy for too many days in a row that means something needs to be changed. But does being happy here and now exclude the need for setting goals? People are designed not just to exist and be part of the food chain, but also to grow, create and move forward in life. Two of the basic human needs are the need for growth and the need for contribution. And I think everyone on this planet has those needs. Probably you can think of people that don’t fit in this “growth and contribution” model, but it’s for sure even they have these needs and probably they fulfill them. You just may not see that. Maybe they do it only privately in their families or simply in a way that you don’t qualify this way. History is full of examples of people who made their fortune in a way which is not very honorable or legal but later those people are one of the biggest charity givers. We all have those basic needs and we need to fulfill them and move forward in life. And that, in turn, means we have two choices. To choose which of two types of people we are. The type who set their goals for moving forward consciously or the other type who make that unconsciously. The majority of the people are of the second kind. They set their goals unconsciously and reactively depending on what happens in their life. This is not wrong but is most probably an obstacle for them to be and feel successful and happy. The truth is the world belongs to the people who do that consciously. And by the “world belongs” I don’t mean people who have a lot of power or money (although that happens often). Those are just people that choose their own paths to move forward and are aware that their current situation is the result of all their decisions in life that are made towards a consciously set goal. Those are the people that have the motivation to make the next step, have the reason to persist in moving forward, who are purposeful. In that line of thoughts, I have a friend who likes to say that our destiny is already written and no matter what we plan and do “what’s going to happen will happen”. I like to answer that the lessons we need to learn in life are probably written down but the path to learning them depends on us. Similar things may and will happen to us until we learn the lessons we need to. Setting goals is not only about the result but in fact, it is mainly about the experiences and lessons we learn along the road. Life will happen to us no matter what plans and goals we set for it. And many times we will have to change our plans and goals not exactly as we initially wished to. My point is that setting goals is important in the terms of setting an intention on which road one wants to make his journey and how he wants to grow. 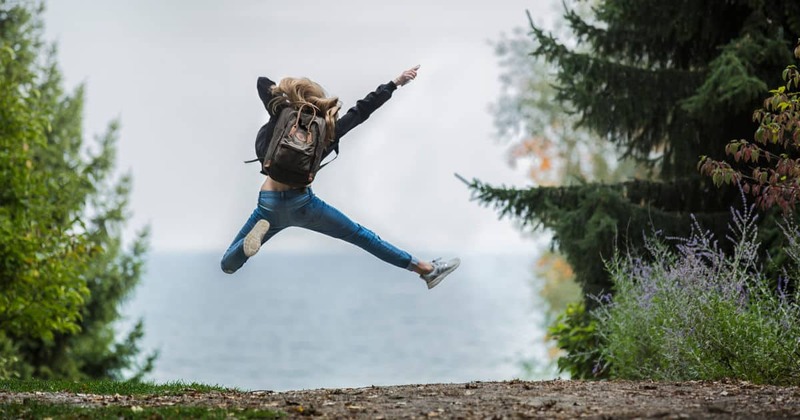 And the result is, of course, important because when we are successful we feel good, gain confidence and energy to further make even bigger progress and be a better version of ourselves. But once again – the result is not everything and should not be a reason to wait for it to feel happy. Many people postpone their happiness for a future moment when they will have achieved their wishes and goals and have the result. Unfortunately, that approach never works. “If only I had, if only I could, when I have time, when I have money, when I find the right partner, when I have kids, when my kids grow up, etc.” those are traps we all fall into soon or later. The trick is to get out of there as soon as possible. I remember when I was a kid and wanted a new bike so much. “I will be so happy if only I could have this bike”. Then my parents bought it as a present and I was really happy to have the bike. And of course, that was temporary. Then it was “I will be so happy if only I can have this bigger mountain bike”. Then “If only I can have this car”, “If only I could attract the attention of this girl”, “If only I could have this great job”, etc. Two conclusions came out of all this. Happiness is not hidden in the result, it is simply in our everyday life and it depends on our inner perception of ourselves and the world. And second – it is important to keep achieving our goals so we can gain confidence, motivation, and energy to continue forward and make great things in life. But is it so? That’s a question you can only answer by yourself. I am one of those people that others categorize as an achiever. But maybe you don’t want to do anything in your life and just exist. Is that possible? I don’t know. After so many years of participating, volunteering and assisting in different personal growth seminars I believe that every human needs to grow and contribute. I would like to share with you my 5 strategies on how to live more happily. They are related to goals and are mind techniques. The only change you need to do to have more happiness in life is the one inside of you. Then once you start the inner change you may find out that the world around is also changing. 1. Measure your success against what you’ve already achieved. We all have dreams, wishes or even big lifetime goals we would like to achieve someday. It will be great if you have clarity what they are and use them to motivate and direct yourself in life. The tricky part is to measure yourself against the small steps you’ve already made on the road of your journey. This way you will see your achievements, feel success, gain confidence and generally live in the positive zone of life. If you measure yourself against the ideal future you wish to have it is exactly the opposite. You will constantly see a huge distance and thus feel unsuccessful and unhappy even though you may have achieved great things in life. 2. Train yourself for awareness of your thoughts and presence. You cannot stop thinking but you can train yourself to be more aware of your thoughts and stay present. In the beginning, this can be a difficult task but there is a simple way to make it as a habit. Every time you catch yourself thinking away in the future, the past or just somewhere else, tell yourself “aha, I am thinking” and imagine as you are just awakening. When you find yourself wandering in thoughts don’t judge yourself about that. On the contrary – be grateful for finding that out and “awakening” again. Pay attention to what your thoughts were about. If you don’t like it or you find out it is a waste of time to think about that anymore you can just decide to let those thoughts go away and find a better/more important things to do. Stay present as long and as often as possible. 3. Do what you say or change your agreement. When you make an agreement to do something there is a part of you – let’s call it basic self – that remembers your promise very well and locks a certain amount of energy. Then later, if you don’t make what you committed for, two things happen. First, you lose self-confidence, because the basic self knows you failed, and second the energy remains locked. Even if you forget about your commitments your basic self remembers them and with each next failure to do what you say you lose more and more energy and self-confidence. The interesting part is that this is equally true for both bigger goals and everyday tasks. The basic self does not make difference. It just knows you failed. First, be aware of your commitments. Sometimes we make commitments and even don’t realize of doing so. Or we make commitments we don’t want to but feel uncomfortable to say NO, knowing that probably won’t do what just promised. In both cases, you need to remember or write down what you promised. Second, if you see that you won’t be able to do what you said, or not in timely manner, negotiate and change your agreement. Go and tell the person you won’t be able to finish what you’ve said. If that person is you then change the agreement with yourself. 4. Choose life goals and ideals that are larger than you. The happiest people on the planet are those who have ideals and goals larger than themselves and live with the positive attitude of making something valuable and good to the world. And unhappiest are those who have goals and ideals that are only concerning their own good. Choosing goals and ideals that are larger than you is a process you can start right now. What you need to do is imagine your ideal future as you wish it to be and think how you can take part in creating value for others and making the world a better place. Get as clear as possible about your ideals. They are important because your ideals are what will help you get through tough times and will give you the motivation to keep moving forward. Take as much time as you need to think and clarify what your ideals are and once you are ready, commit to them. Then decide to make an action. Thinking is important in terms of choosing a direction but the real difference comes from action not from thinking. 5. Get better at establishing and achieving goals. Most of the people set their goals unconsciously. If you don’t get clear what your goals are, don’t write them down and don’t give yourself a deadline it will be really difficult to see and measure your achievements. Therefore it will be difficult to recognize and celebrate success. What you can do about that is write down your goals and get clear which of them can fit into 25-year visions category and which in 90-day action goals category. Then start checking your progress on a daily basis and continually celebrate your progress. Once you have achieved your goals, acknowledge that and celebrate the success. This is really powerful but the only way to really understand it is to try it. Those are the 5 goal setting strategies that you can use to live a happier life. If you find them useful spread the word. If you’re not sure what this is all about you can still spread the word and check what others think about it. We need a system for consciously designing our visions and goals and taking daily action towards them. 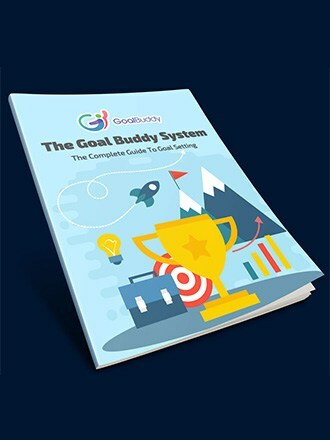 Hey I know, the Goal Buddy app! we’re already working on online course that will really help to design visions, then setting 90 day action goals and even the first weekly step! Hopefully this will be ready within few months.